Mia oversees the logistics project management and global depot teams within Sharp Clinical Services. Her prior roles with Sharp have included Logistics Project Coordinator as well as Global Depot Manager. 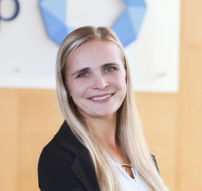 She has been responsible for helping to build out Sharp’s global depot network as well as assuring the highest of quality standards through routine audits of Sharp’s depot network. Mia is focused on providing her clients with critical insight; necessary to offer a proactive approach to meet their goals. In addition to attending National Technical University in Lviv City in Ukraine, she is also certified as a Lead Auditor (TPECS) ISO 9001:2015 as well as a subject matter expert for dangerous goods handling. 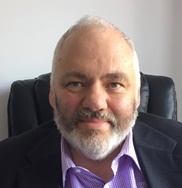 Eddie has over 23 years of Clinical R&D experience across operations, clinical supply management and IRT design, development, and management of over 600 clinical studies. 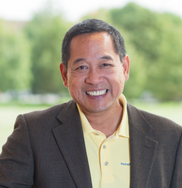 Prior to joining the Sharp Clinical Services team, he managed and grew the IRT business at Covance for 13 years. He also started and managed two global start up service groups while at Fisher Clinical Services, Clinical Supplies Optimization Services and Clinical Ancillary Supplies Services. Eddie earned his business degree at the University of Texas at El Paso. Eddie is looking to use his experience to help Sharp Clinical Service’s clients find the most cost-effective strategy to manage their clinical studies using IRT to enable them to have full control of their actionable clinical data. Ian has worked in the pharmaceutical industry since 1978 and is a Charted Chemist. He joined Sharp in 2009 as General Manager of our Clinical Services business in the UK. Before moving into contracting, Ian worked in quality and manufacturing for Bayer Schering Pharmaceuticals. He has extensive experience in the global clinical trials market, having worked as Customer Service Director at Fisher Clinical Services, implemented clinical trial packaging and distribution for Piramal Healthcare and run clinical trial production and distribution for Quintiles Sciences in Edinburgh. 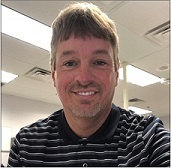 Bob has been with Sharp since 2007 and works closely with our US and EU commercial business development managers to support overall sales growth of all packaging platforms. He has over 35 years’ experience across various manufacturing operations, having held the roles of Industrial Engineer, Manufacturing Engineer, Quality Engineer and Senior Cost Accountant. Bob earned his BSc in Industrial Engineering from the University of Pittsburgh and his MSc in Industrial Engineering from Lehigh University. Herb has worked in the pharmaceutical industry since 1992. He joined Sharp in 2013 as a Cleaning Validation Engineer. In his role at Sharp he oversees cleaning validation activities at both the Conshohocken and Allentown PA facilities. He is ISPE certified in cleaning validation. 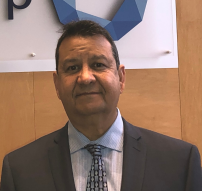 Prior to joining us, he worked at Teva Pharmaceuticals for over 20 years, where he held management positions in both process validation and cleaning validation. Guido is responsible for EU Project Management, cost estimation and serialization. 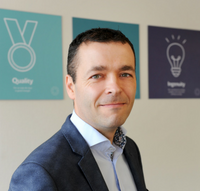 Before joining Sharp in 2008, he worked as a Mechanical Designer of turn-key robot cells for automotive and consumables and as a Product Engineer for Helvoet rubbers and plastics. He joined Sharp in 2008 as Project Engineer, before moving into a role as project coordinator and cost calculator. Guido holds a Master of Science – Electro Mechanical Engineering.